Meh Suff! 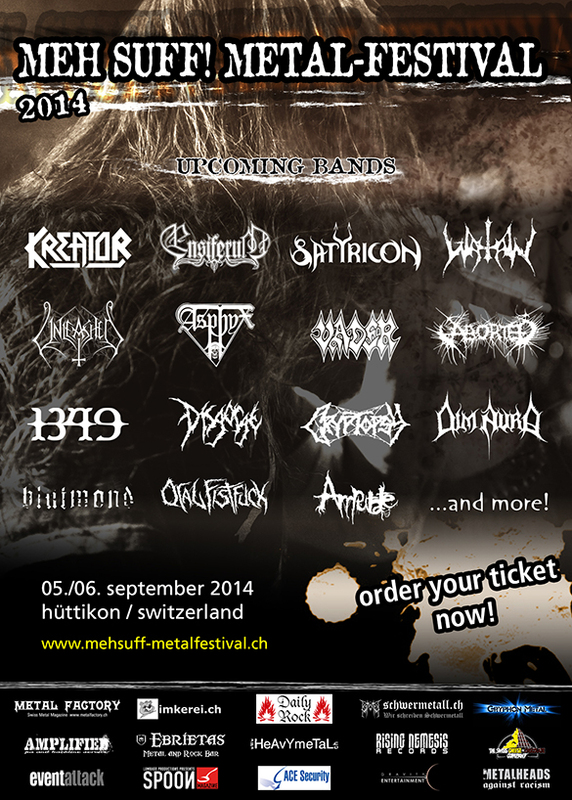 Metal-Festival will take place in Hüttikon, Swizerland on September 5-6, 2014. Kreator, Ensiferum and Satyricon are among the bands that will perform at the Meh Suff! 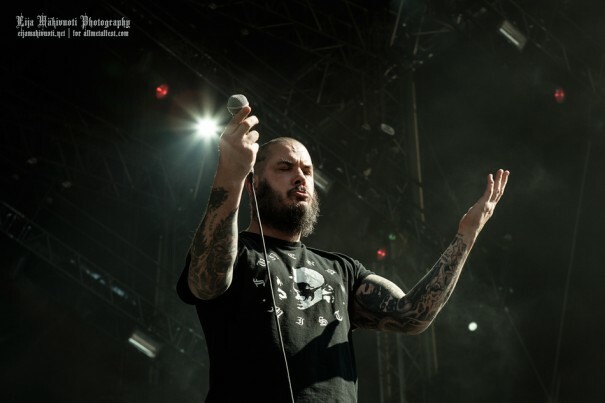 Metal-Festival 2014 festival.